we r looking for a precious beautiful companion to love and adore plse help with a giveaway. 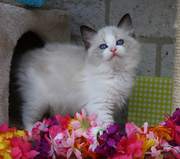 Shelzdollz is a registered breeder of Ragdolls located in . We currently have a litter of beautiful babies available, our last for this breeding season. There are 3 girls - 2 seal mitted and 1 seal point, and 3 boys - 2 seal mitted and 1 seal point. They are currently 4 weeks old and will be ready for their new homes mid July. 5 kittens available 3 black with white chests 1 brindle 1 white with black ears and tail all have great personality's, very affectionate and very playful. All fluffy and love to be cuddled. The first litter of the season has arrived!! 2 Blacks and 2 Blues! Russian Whites and Blues are due around 24th April and during May. All kittens will leave fully vaccinated, wormed and microchipped. They will also have 4 weeks free Pet Plan Insurance, GCCF registered, and a 4 generation pedigree, and have a kitten starter pack. 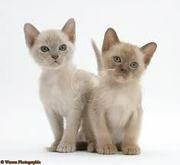 for sale 4 pure breed Siamese kittens 2 choc point boys 1 seal point girl 1 seal point boy all raised inside with kids and large dogs very sociable all come vet checked health cleared and first set of vacs done, worming and flea treatment all regular and up to date, very happy little guys mum is choc point dad is seal both here to meet. affectionate they are well vaccinated and proven healthy email for more information, . 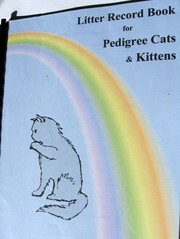 A beautiful litter book for kitten breeders that has been designed with the breed societies, council regulations and government requirements in mind. Catering for over 20 litters, it also includes a Stud register, making it ideal for the professional and hobby breeder. Every piece of information you're required to keep has a space provided. 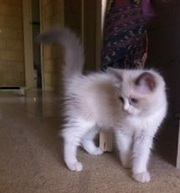 lovely and adorable white coloured persian kitten for sale at an affordable price ..
Mittens. 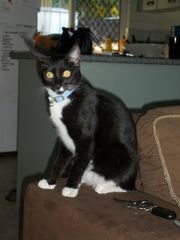 Black and White Male DSH, medium size, blue collar with pearls. Last seen in Lizard St Mount Sheridan. Please call 0412630953 Reward of $100.00 offered for safe return..
We are Nerikha Cattery and breed Siamese, Oriental and Egyptian Mau cats. We are registered with Feline Control Counsel Queensland. Please visit our website www.nerikha.net16.net for contact details. All questions are welcome!!. 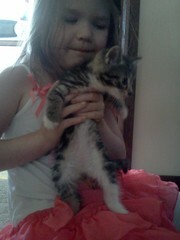 I have two female kittens that are ready for there new home. Tabby with white on the neck. Love cuddles, medium hair, toilet trained. feel free to email for more info. 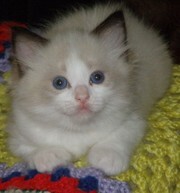 I have 2 ragdoll kittens available 1 male and 1 female. Bi- colour, getting darker and changing colour every week. 9 weeks old, House reared, Toilet trained and vaccinated, vet checked and wormed, very pretty kittens will grow up to be beautiful colours. Currently in York but can be bought up to kal soon. We got available and and ready to go very cute and lovely Savannah (F1 to F7), Serval and Bengal kittens for sale .Our kittens range from 4 weeks to one year of age. .The kittens were all born and raised in our home and are very friendly .We will give our cats only to serious buyers .Ours cats will come with the following; -TICA Registration papers - vaccination and de-worming records. We are a small family cattery situated in Mandurah in Western Australia, dedicated to raising healthy, well socialised kittens completely content with living indoors. All our kittens are born and raised in our home as part of the family. All kittens are fully registered and come with a Health Guarantee. We have 4 Sphynx kittens for sale. We have 2 Boys 2 Girl The girl is a Seal Point and white with Blue eyes, and the one girl that is dressed up is also a seal point and white but is very tiny becasue she was from a large litter and was the runt, The runt is $950. We have 2 boys 1 Black and white and one Blue solid Male. 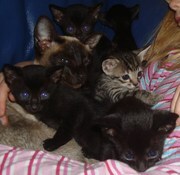 4 Beautiful Solid Black Male Siamese X Kittens. (2 kittens sold, 2 remaining, please contact us if you would like to reserve one of these adorable kittens). Elegant and intelligent, these kittens are just stunning. Raised in our family home, these kittens are well socialized, playful, litter trained, wormed and flea treated. Cats for sale, kittens for sale Australia ads Australia, Cats for sale, kittens for sale classifieds Australia, Cats for sale, kittens for sale free ads Australia, ads for sale Australia, ads to buy Australia, FREEADSAustralia Page number 2-1. Find here ads for sale, to buy and rent in Australia. Goods for sale in Australia, vehicles for sale in Australia, Australia real estate for sale, Australia property for sale, property for rent in Australia, business ads in Australia, Australia business classifieds, services in Australia, Australia services ads, jobs in Australia, pets for sale in Australia, Australia dating, Australia cars for sale.